The MASA Legislative Day will include a briefing on current state legislation and issues related to public education, presentations on hot topics and a training session on how to effectively engage legislators. Participants will meet with their local state representatives, state senators and committee members to discuss current bills, and participate in various steps of the legislative process, including a visit to the Senate and/or House floor and attending a committee meeting. 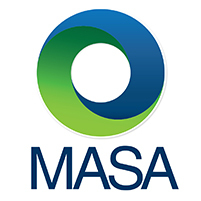 Participants will have the opportunity to represent MASA and their region on specific and important issues of the association.